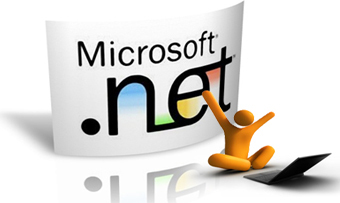 Just since inception, Replete Technologies positioned itself as a reliable .NET & PHP solution provider. During the past 3 years, Replete Technologies has evolved a complete set of technologies for Windows Forms, Web, and Mobile development. Replete Technologies has been dedicated in software industry for over 3 years, providing web development and mobile development services. Based on solid technical expertise and client-oriented philosophy, Replete Technologies has grown into the biggest software provider in India. The managed CMS based on .net technology has proved enormous for many enterprise .The Management system that could dispatch assignments with different customizable content packs and learning content to different groups of people. And the results could be reviewed, graded, analysed and generated the reports finally in the system. As Microsoft Golden Partner, Replete Technologies guarantees high standard technical skills and development process. We are also actively contributing to many open source communities. As an software outsourcing company,Replete Technologies emphasizes nothing more than quality . Product development is a noticeable part of Replete Technologies diverse services. In the last 2 years, we have helped clients from different industries such as Accounting, Healthcare, Energy and E-learning to develop enterprise-level products. Replete Technologies usually go through all product phases starting from proof of concept and development phase till post-development maintenance . Replete Technologies has a well-defined and mature product development process which comprises the complete Software Development Life Cycle (SDLC) from business case analysis to warranty support of the product. Below are some of Nova Software's best practices for product development. Before any development work, Replete Technologies will fully investigate industry standard, competitor products, end user and industry glossary to ensure we understand the product right.Either in prototype or development phase, Replete Technologies team is required to frequently deliver every 1 or 2 weeks so that our clients can soon visually review deliverables and give feedback.